Sean Coyle the author of the books “The 25 Indisputable Laws of Style" and “Secrets of the Shirt” presents the latest must have edition to the informative series. "SECRETS OF THE PANT" an illustrated book that is packed with easy to follow and understand guides to the design details that make a man’s pair of trousers. Illustrated design and style guides will give you a great understanding into the wonderful world of men’s pants. 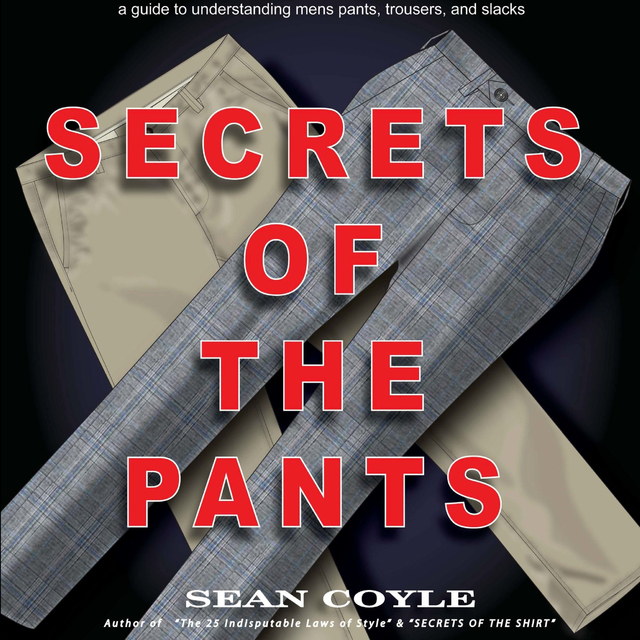 Whether your see yourself as casual or tailored, the information contained in this wonderful book will help you understand exactly what to look for in a pair of pants. You will know without question everything needed to make an intelligent decision on how to select the best dress pants, khakis and chinos. The Secrets of the Pant provides sketches and photographs that break down the different styles of each component that makes up a pant. What is the difference between no iron and easy care? Are you unsure what a besom pocket is? It is all laid out for you in this simple to read, easy to enjoy, visual large format illustrated guidebook. Have you ever wondered what the term staying the fork is? Wonder no more. It is all inside!